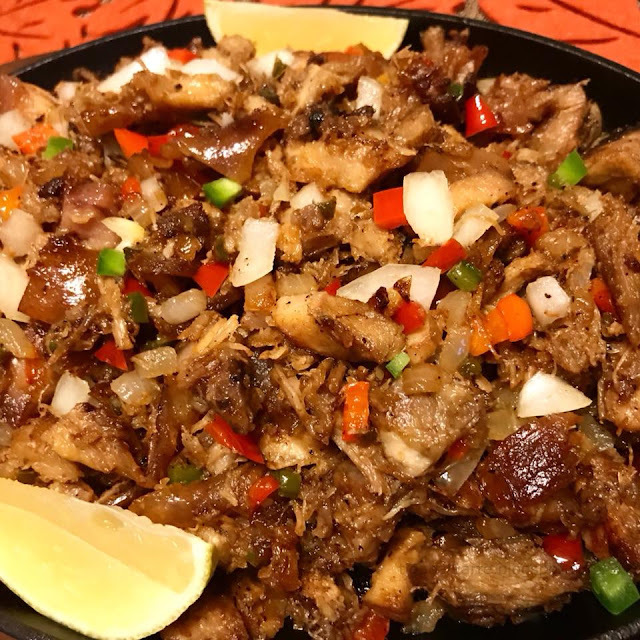 Lechon Sisig is a dish to made using left over Lechon or Lechon Kawali. 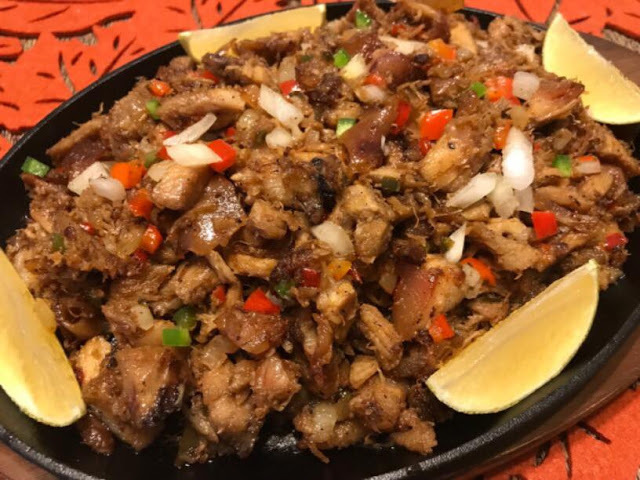 This recipe is so full of flavor and great as appetizer. Using a large cast iron pan, heat and add cooking oil. Once heated, add half of the onion and bell peppers. Continue cooking for few minutes. Add chopped Lechon and sauté until Lechon turns crispy. Season with soy sauce and ground pepper to taste. Add remaining onion and chili peppers. Stir well and transfer in a serving plate. Top with egg cooked sunny side up and some lemon wedges or kalamansi on the side. Serve hot and enjoy.